Richard Venlet, Cit Cit 2, Etablissement d'en face, Brussel, 2005. BRUSSELS.- The work of Brussels based artist Richard Venlet (°1964) is hybrid. It combines sculpture, installation art, artistic research, exhibition design and architecture. Within his practice, Venlet frequently reconfigures existing spaces. As well as autonomous art works, his composed and designed environments often operate as presentation-contexts, wherein the culture of exhibiting is explored together with affiliated artists, architects and curators. In his oeuvre there is no essential distinction between art works and exhibition. Its Walls, Floors, Ceiling and Windows emphasizes the importance of display conditions within the practice of Venlet and forms an autonomous exhibition project in which works of art and artifacts are presented as fragments. The exhibited elements not only give shape to Its Walls, Floors, Ceiling and Windows, but also become the exhibition itself. In the framework of the exhibition a program with lectures and talks takes place. This discursive component expands on the central theme of exhibition contexts, opening up to students, researchers, artists, architects and visitors. Over the past few years, the artist has designed the exhibition architecture of Hugo Claus, Ado Chale, The Power of the Avant-Garde, The Belgians, Anne Teresa De Keersmaeker and bOb Van Reeth for BOZAR. 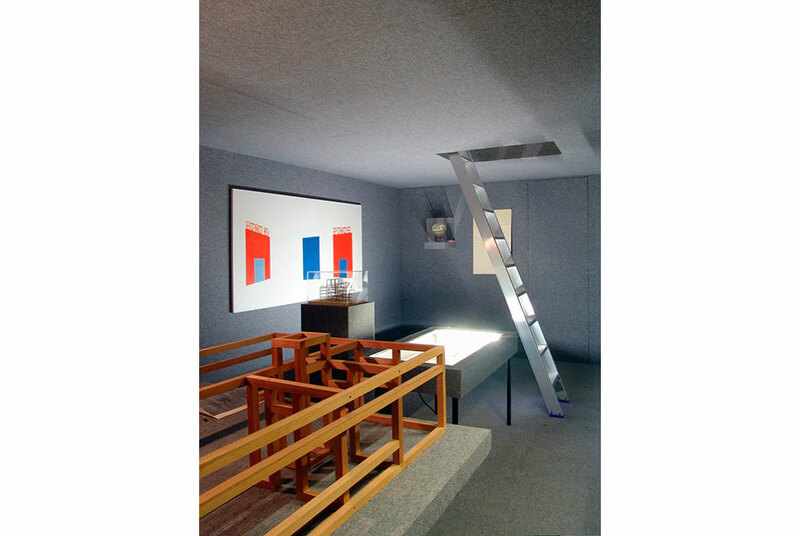 At the request of the Association des Expositions, Venlet previously created the extra muros project Box in 1995 and the setting of the video exhibition Monitor in 1993. Venlet has realized projects and exhibitions for Art Brussels, the Bienal de São Paulo, Etablissement d'en face, Galeria Estrany-de-la-Mota, Hessel Museum of Art, Kunsthalle Düsseldorf, MACBA, MANIERA, MUHKA, Beaux-Arts de Paris, S.M.A.K. and WIELS amongst others. Architecture has a prominent place within the practice of Venlet, not only through collaborations with architects such as OFFICE Kersten Geers David Van Severen or Philippe Vander Maren, but also as an artist in residence. In 2007 he participated in a project at La Ricarda in Barcelona on the invitation of artist Michel François. Designed by Bonet Castellana in the 1950s, this house will host one of the art residencies as part of the European project Artists in Architecture - Re-Activating Modern European Houses. With this project, BOZAR, the Mies van der Rohe Foundation and the University of Naples-Federico II engage artists in a shared reflection on sensitive issues related to cultural heritage. Today, just like in The Age of Bruegel, we have reached a tipping point that forces us to answer fundamental questions. Along with artists, scientists and the visual arts sector in Brussels BOZAR is bracing itself for a new Renaissance over the coming months.